A bill that would make the U.S. Citizenship Test a graduation requirement in Indiana has passed the state's Senate, paving the way for a potential major change to Indiana's graduation requirements come 2020. According to The Hill, Senate Bill 132 passed the Indiana state Senate 31-17 after being introduced earlier this month by state Sens. Dennis Kruse and Jeff Raatz. 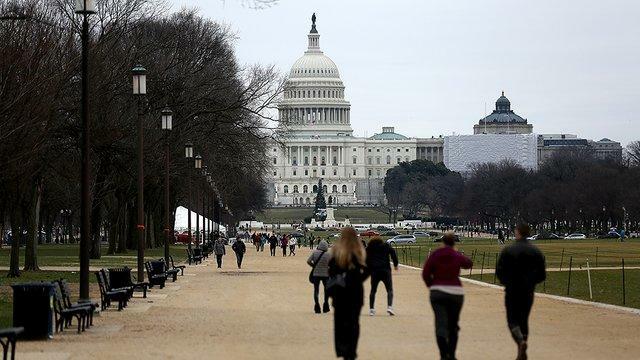 The bill seeks to make passage of the U.S. 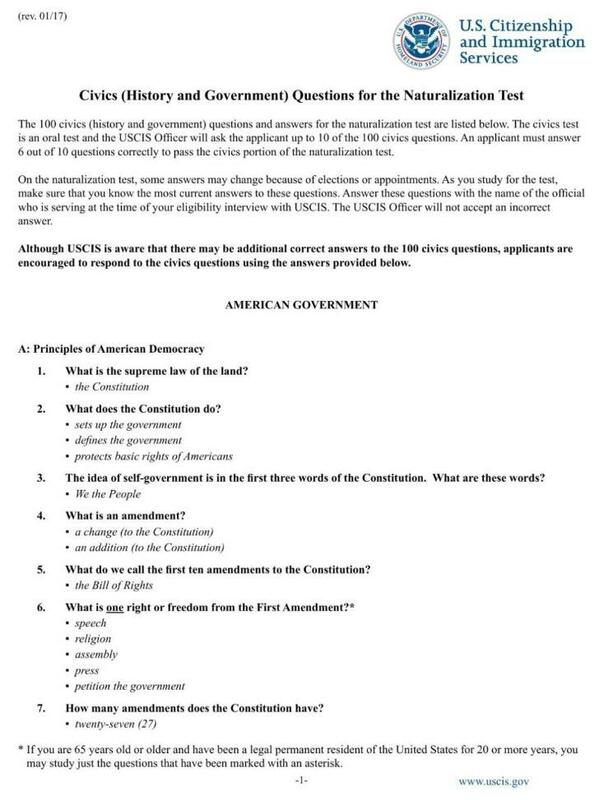 Citizenship Test a mandatory requirement for high school graduation at all of the state's public schools beginning in 2020. "We have many young people in our country, and in the state of Indiana, who do not know a lot of simple information on our government and on our country and some of our history," Kruse recently told The Times of Northwest Indiana. If passed by the House and signed into law by the state's governor, students who are unable to answer at least 60 of the test's 100 questions would be denied a high school diploma or high school equivalency certificate - even if they'd fulfilled all of the school and state's other graduation requirements. As one might imagine, not everyone (especially on the left) is in favor of this patriot test. State Sen. Eddie Melton (D) told the news outlet he is against the proposal because it would force another graduation requirement on students and add another mandate to teachers. "This concerns me as one more mandate that we're going to put on our teachers and our students,"
"Some students are just not excellent test-takers,” he said. 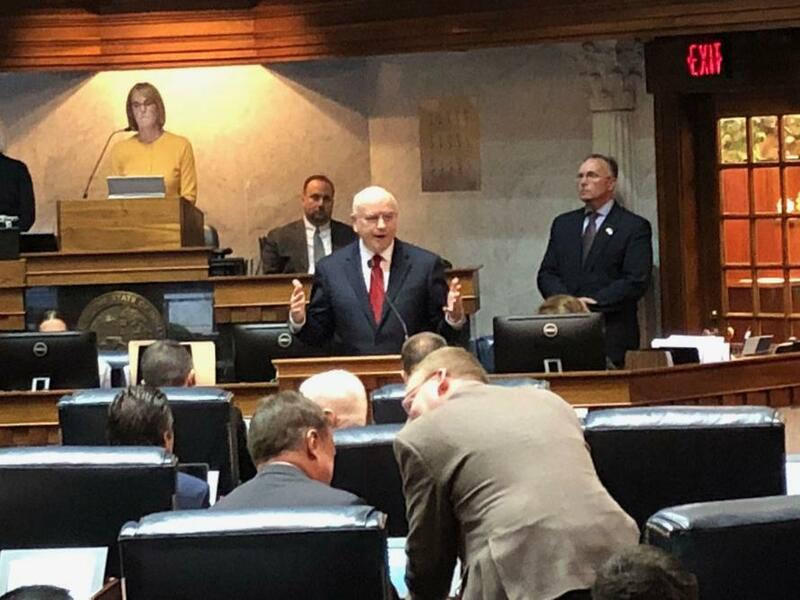 Before it can become law, however, Senate Bill 132 will need to pass a vote in Indiana's House of Representatives, where, as Bustle's Morgan Brinlee reports, the bill's future appears to be more uncertain. On Saturday, Indiana House Speaker Brian Bosma told the Associated Press he did not know if the bill would even be taken up by the House for a vote.